Nowadays with a rapid growth of computer technologies, the Internet became the most popular source of searching necessary information. Social media became one of the most popular ways of communication as well as advertisement. It influenced the appearance of social media marketing. Social Media Marketing – is any marketing, which takes places on social media platforms. It is an effective way of attracting new visitors through social articles, blogs, communities, etc. It is one of the most perspective ways of website developing. Moreover, it allows you to speak directly with your target auditory. For high-quality posting, we’ll use your website content and post it on different social networks as well as on the other related websites in order to grow your website traffic. Each of our clients is of special importance for us. That’s why we’ll discuss your business goals and adjust our social media campaigns to suit your business plans. We ensure your website traffic growth, meaning that the number of new followers will increase. Moreover, with the help of the social media strategy, we ensure that this new number of followers will positively affect the value of your business. Before starting our social media marketing, we’ll optimize your social media pages for maximum visibility. All our clients are provided with monthly reports, concerning the progress of their campaign growth. Because there are lots of spams on social media, we’ll do our best to take them away from your pages and accounts. What Can SMM Give You? SMM is the work on the promotion of a website on the Internet in several directions. Winning Marketing Strategies is a social media marketing agency, able to provide a full range of services for advertising in social media. SMM is an excellent tool and assistant for a successful advertising campaign. Every business owner wants to have more customers. What comes after visitors in a list of wishes of a business owner? The answer is simple – more customers to their website. There are lots of ways efficient to increase your website traffic. With the help of our company, you’ll be able to get it. Brand associations mean a set of unique, remembered qualities, which make your brand different from competitors’ one. It is necessary to provide a reason to buy your brand services or products over the other. Website conversion is the attitude of visitors to your website which goes to take your desired actions (buying products, services, and more). We help you to improve your website conversion rate. It’s highly important to know your target audience, people who may be interested in your business’ services or products. They can become your clients, customers, investors, and more. That is why we pay special attention to getting your target audience. Brand awareness means that your website is recognized by the customers. With the help of Winning Marketing Strategies, you’ll be provided with a great chance to learn more about the ways of building brand recognition. Facebook, Instagram, Twitter and many other social media are a part of daily life of everyone. Many companies use social social media services to develop their business. Thus, if you have your own business, but still do not use Facebook for your brand posting or Instagram for sharing pictures, you are behind the times. But our company is here to change it and grow your brand awareness. 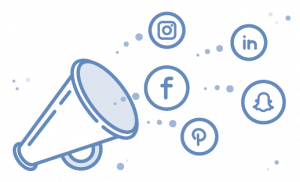 The process that our team puts in social media marketing is quite simple, but there is no other more effective way to communicate or engage with your current customers than it is with social media marketing. 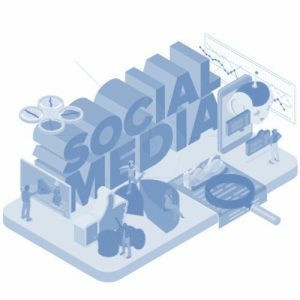 Social media is a great tool, which allows you to constantly interact with your customers as well as market your products/services, obtaining valuable feedbacks from them. Out team of well-educated professional strategists helps each our client to set them apart from competitors and create a unique website that not only represents your brand features, opportunities, and services, but also performs an important role in achieving new customers as well as works as an important tool in generating leads for any type of business. We learn all the necessary information, concerning your business to understand your current marketing strategies and the possible ways to apply or, if it is necessary, improve them and develop all the possible ways to apply them to the different social media platforms. We learn all about your competitors to have a clear understanding of all the further actions necessary for your business development. We develop an efficient social media strategy, necessary for measuring your business goals and putting them into practice. We implement all the recommendations, concerning profile and content strategy phases to put into practice your campaign goals. Our company provides a regular report on our team work, concerning the effectiveness of the results of social media strategies. The gradual development of the image, which will persist for a long period.